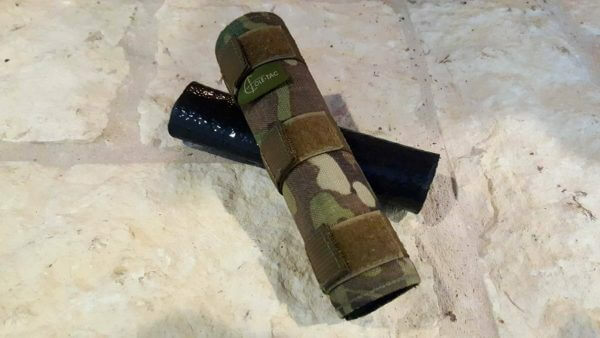 When shooting suppressed, one of the best ways to take care of your suppressor is with a cover. 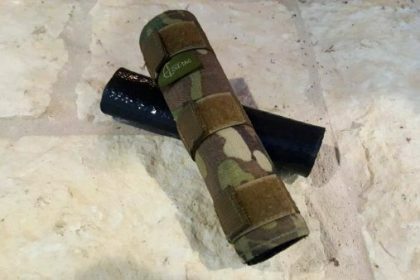 There are several on the market currently, and making a choice depends on what you are looking for in a suppressor cover.  For the last several months I have had the privilege of testing out the latest from Cole-Tac, their High Temperature Python (HTP) suppressor cover, and I must say, it has not disappointed me in the least bit. When the Coleman family started out, they listened to what the shooting community wanted in a suppressor cover and then built it according to the demand. They have several covers in their line up that vary slightly depending what your needs are. All these covers are of exceptional quality in both material and craftsmanship and will take care of most shooters’ needs, however, today we are going to focus on the High Temperature Python (HTP) suppressor cover.